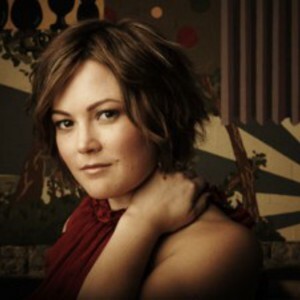 Sara Watkins, (born June 8, 1981) is a fiddler, vocalist, and songwriter, and is one third of the contemporary bluegrass/folk band Nickel Creek. Watkins first gained recognition as a founding member of the Grammy Award?winning, platinum-selling trio Nickel Creek. When not on the road or in the studio, Watkins has guest-starred as fiddler and/or harmony vocalist on albums by B?la Fleck, the Chieftains, Ray LaMontagne, Ben Lee, Dan Wilson, Richard Thompson, and Alex Woodward, among others. Additionally, Watkins and her brother Sean continue an informal residency called the Watkins Family Hour at the L.A. club Largo, which often includes surprise cameos from friends and colleagues; free podcasts from the series are also available.